Gift Aid is a convenient way to show your support for PAG as it is quick and easy to set up. It also increases the donation you make to us at no extra cost to you. 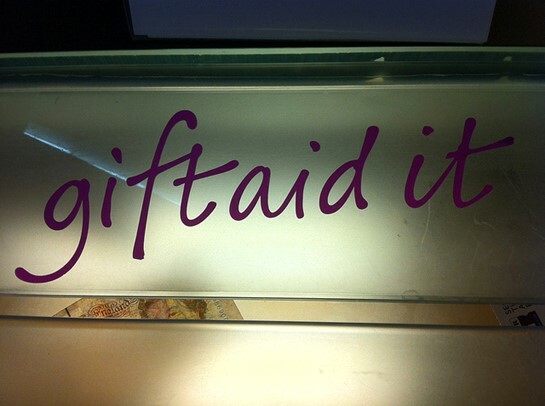 Gift Aid is a government scheme that allows us, as a registered charity, to reclaim 20% basic rate tax on any gifts you make. To make a Gift Aid declaration, you must be a UK taxpayer. This includes people who are retired and still pay tax on savings and pensions. So, for every £1.00 you donate, we receive an extra £0.25 from HM Revenue and Customs. You should be paying Income Tax, or Capital Gains Tax, equal to the amount PAG can reclaim on your donations in any particular year. Gift Aid can be claimed from any of the following forms of donations: cash, cheque, credit or debit card, standing order or direct debit, postal order or bank transfer. Miss B and her children received help from PAG when she had an accident and lost her job. When she was better and back at work, she donated to PAG to help others in a similar situation.